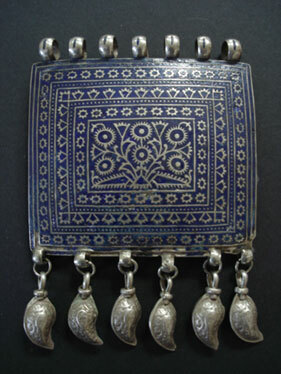 A rare and beautiful large silver and enamel pendant with 6 paisley mango coin silver bead dangles from Multan, Pakistan. The pattern is engraved into the silver then filled with a dark blue enamel. The pendant is hallmarked on the back. Photos available on request.